I love my watch, it looks just as good as it does online. 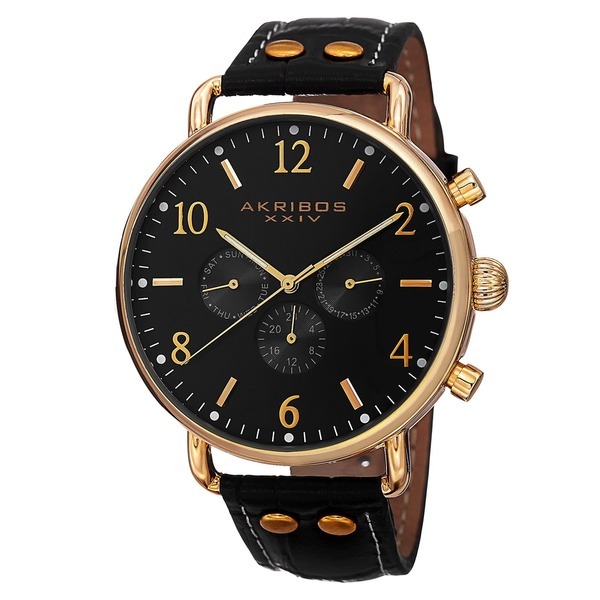 This classic Akribos XXIV men's watch features a sturdy, alloy case and genuine leather strap. Powered by Swiss quartz multifunction movement, the dial displays the day, date, and dual-time. This watch is an elegant timepiece for a busy man. Lovely watch. Like really well made and classy. Can dress up or dress down. Highly recommend. I love it so much that I am purchasing another one for my mailman.